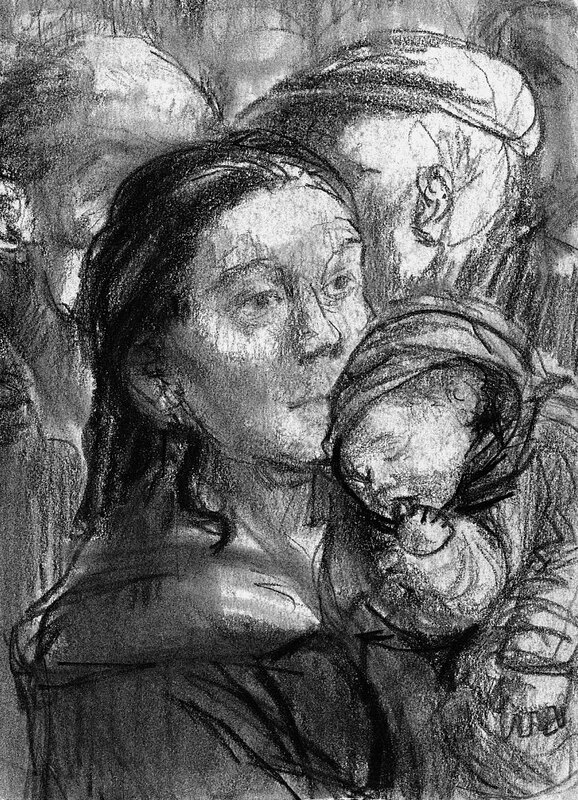 description A close-up study of heads observed mingling in the crowd at Whitechapel's busy market: in the foreground a woman, with loose, long dark hair, her head in three-quarters profile to the right, holds her sleeping baby, thumb in mouth, nestled against her shoulder. The heads of two men turned toward one another, as though deep in conversation, can be glimpsed behind her. 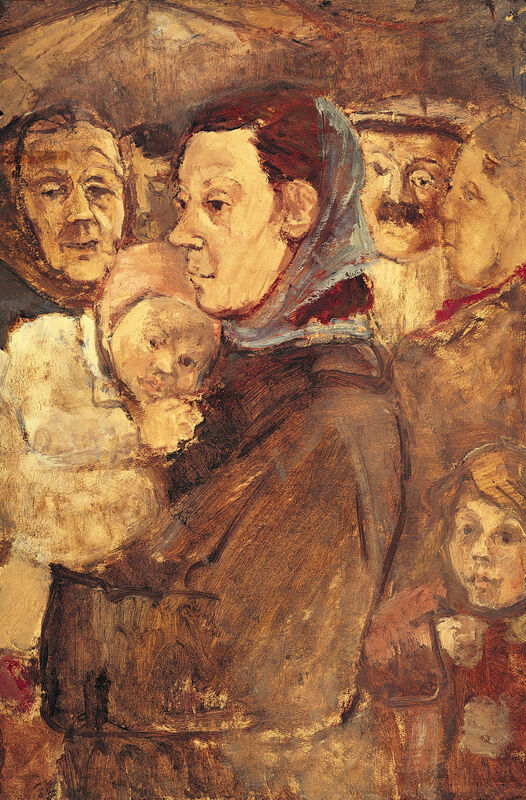 There is also a very similar lithograph of the same subject, entitled 'Couple with Baby'. literature ed., B. Planskoy, 'Eva Frankfurther 1930-1959: Paintings, lithographs and drawings' (London: Peter Halban, 2001), illus. p. 32.